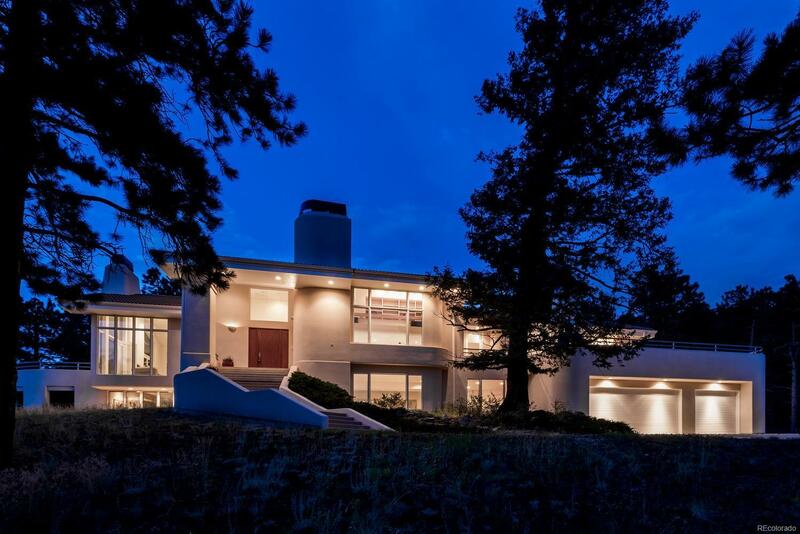 Designed by Architect Sears Barrett, this stunning "MAME" award winning home sits on 2.9 acres and offers 360 degree views from just about every window. Outstanding features like 18' ceilings, large skylight and 1200+ sq/ft. of of outdoor patios/decks offers a one-of a kind oasis. Master floor suite complete with 5 piece bath and steam shower. A true chef's kitchen with new top line appliances and granite countertops makes this an entertainers dream. Two large bedrooms with jack & jill bathroom is found on the 2nd floor. Lower level complete with bedroom, 3/4 bath, large study, huge living room, wet bar, gym and 5 car garage. Outside, find an athlete's paradise with a brand new tennis court as well as a basketball area. A large outdoor kitchen completes the experience. Unlimited access to 2 clubhouses, 2 pools, a gym and security! Only 25 minutes to downtown Denver and 60 minutes to ski, bike or hike in the CO mountains!